"Swaraj is my birthright and I shall have it." It is for this undying spirit of the forerunners of our freedom struggle, that our motherland awakened to see the sun of independent India. 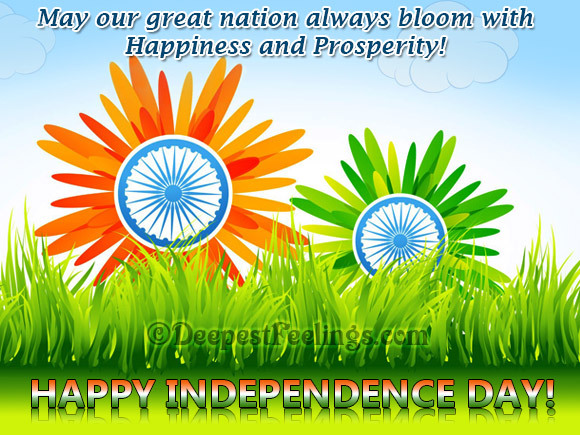 On this Independence Day we salute this spirit and pledge to craft an India they dreamt of. 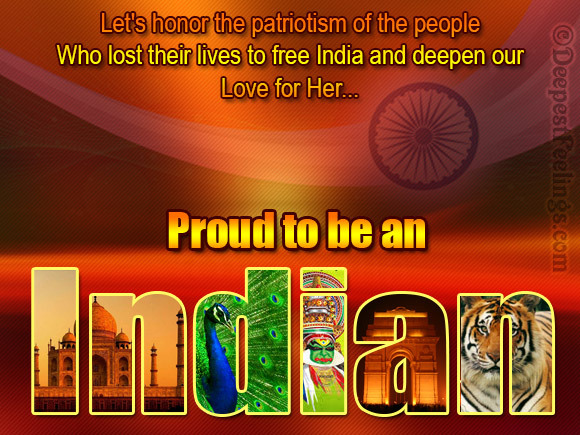 Send these patriotic e-cards from Deepest Feelings to share your pride of being a citizen of this great nation.